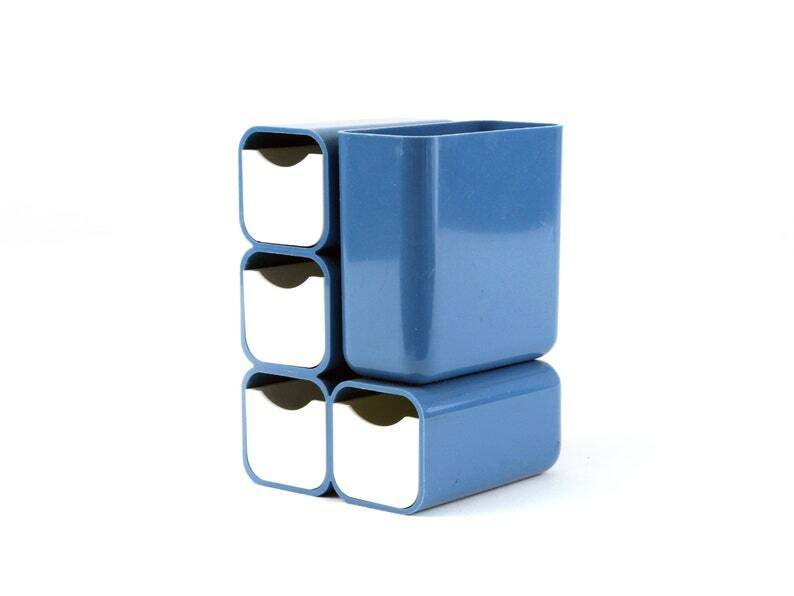 A 1970s space age blue and white plastic desk organizer, featuring a pen/pencil cup + 4 drawers for paper clips, rubber bands, etc. Good vintage condition -- no cracks. There is some light scuffing/scratches from use and age.